Starting in Destiny Year 2, players can use a new upgrade perk called Infuse which is similar to the Ascend button from House of Wolves. 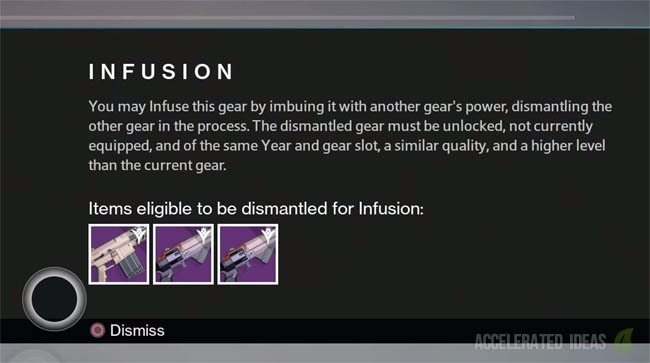 Using the Infuse perk we can fuse two weapons (or armour) together to create a stronger overall item. In-game the perk is described as..
"Consume a more powerful Weapon to boost the Attack value of this weapon". As you can guess, unlike the Ascend button this doesn't automatically jump start the weapon to the maximum attack value. Instead, it combines stats from the fused weapon to boost the current weapon slightly higher. The exact same principle applies to armour as well. As a good example, if I get a Legendary weapon which I really like, I can continue to pull this item forward by using other high powered items as "fuel" to make this weapon stronger. Players should note that this feature only works on the Year 2 Legendary and Exotic weapons and armour. 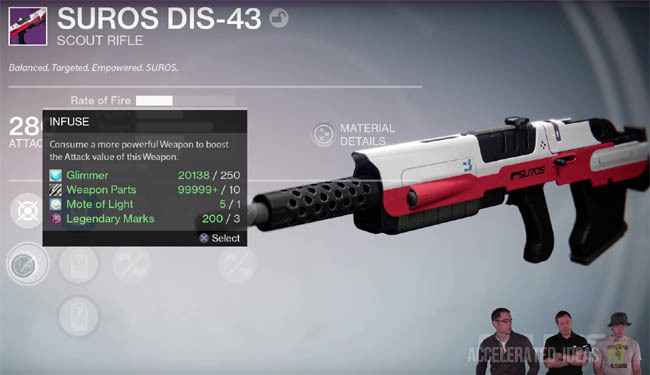 You will not see the Infuse perk on any older weapons and armour from Year 1, which includes original, The Dark Below or the House of Wolves gear. Maybe I have a favourite weapon but it's getting a bit long in the tooth because I'm getting some good raid drops which are a higher power. However, I don't really like the raid weapon that much but it has really strong stats. 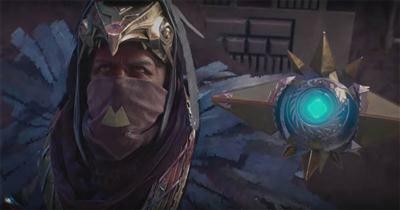 "You may Infuse this gear by imbuing it with another gear's power, dismantling the other gear in the process. The dismantled hear must be unlocked, not currently equipped, and of the same Year and gear slot, a similar quality, and a higher level than the current gear". So put simply, if I want to Infuse a Legendary primary weapon, I need another (blue or purple) primary weapon with higher stats. I can't use a Special or Heavy weapon because that's not allowed. If my original weapon had an Attack value of 280 and I choose to Infuse with another weapon with Attack 290 I will get a new Attack value of 288. Notice that the value doesn't jump all the way to the higher value, it simply boosts it along or "fuels" it (roughly 80% but it will round up). Unlike the older DLC's, the blue gear in The Taken King can reach incredibly high Light stats and will quite often outrank existing Legendary gear. This is on purpose; tempting you into keeping Legendary gear with better perks and infusing your way up to 300 instead. Blue gear plays a pivotal role in climbing the Light "ladder" and most players will choose to equip Blue's early in their Light progression and then focus on Infusing the final gap later on. It's worth remembering that any drops (or engram decodes) are based on your current Light rating (Score). Equipping higher value gear immediately is essential to swing RNG in your favour.